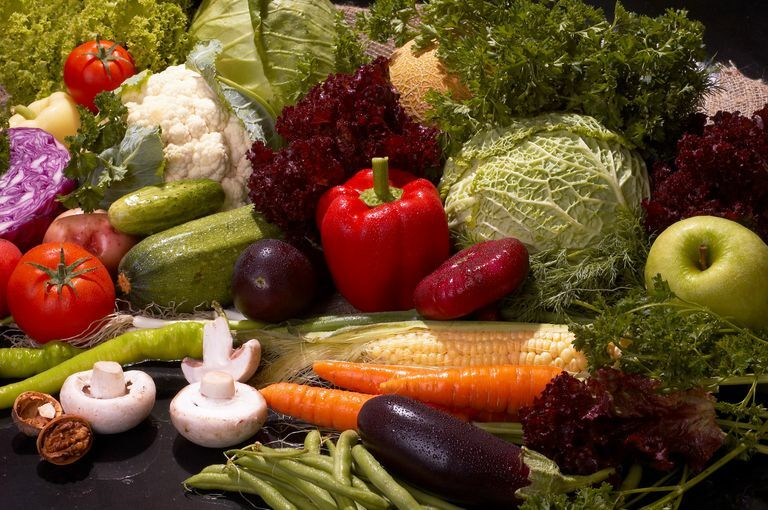 Here is a tool you can add to your cancer-fighting arsenal: a balanced diet. Research is confirming what our grandparents already knew: fresh fruits and vegetables are good for health, meat is for special occasions, and herbs and spices are medicinal. Learn about the foods that help you fight cancer. Broccoli, cauliflower, cabbage, and Brussels sprouts contain sulfur compounds, which may not smell good to you, but they fight cancer. Broccoli, in particular, combats breast cancer—so eat some every week. Beans, beans, peas, lentils, and peanuts are nutritious, low in fat, high in protein, and rich in antioxidants and saponins. While they don't prevent breast cancer, they do boost your overall health. And while we're talking about beans. Soybeans and soy products are good alternatives to animal-based foods. Soy foods contain the isoflavone genistein, which may help prevent breast cancer if you start eating it just before puberty. You can eat soy foods in moderation, and it's easy to add soy to your diet. Fragrant and colorful, alliums such as garlic and onions, appear in foods all over the world. They have great nutritional value and can help fight cancer. Learn how eating onions and garlic is part of eating healthy. You might be surprised how powerful spices are—not just for zing, but also for your anticancer diet! Several herbs and spices have been compared to effective cancer-fighting drugs. Take a tour of six herbs and spices that fight cancer. Fruits and berries are natural sweets that can be added to entrees or vegetable dishes. On their own, they make easy low-calorie desserts or smoothies. Cranberries are especially packed with cancer-fighting compounds. Whole grains give you the full benefit of all three parts of the grain, which contain many vitamins, minerals, and dietary fiber. Flaxseeds are a good example of a whole grain you can use daily. Learn how whole grains benefit your health and are easy to add to your diet. Natural sweeteners are a very pleasant part of eating healthy—they are low on the glycemic index, so they don't raise your blood glucose levels like refined sugar does. Cancer thrives on sugar, so using natural sweeteners is better for you. Read about several natural sweeteners. Fish and seafood are lower in saturated fats than meats and are rich in omega-3 fatty acids, which fight cancer. But be picky about which fish you choose—some are better for you than others. Branch out and try fish or vegetarian entrees for a change from meats. Coffee and tea contain antioxidants, which can reduce your risk of cancer. Green tea is especially good for you. But those drinks also contain caffeine, which in large quantities might not be so good for your breasts. Water and juice help you to stay hydrated and help your body eliminate possible carcinogens. Juice from fruits and vegetables is easy for your body to absorb, but may contain extra sugar and less fiber than fresh products. Try juicing your own fruits and vegetables, or making smoothies in your blender. Daily servings of red and processed meats can result in too many calories, extra weight, and various diseases. Have meats only on special occasions—especially if it is fried, broiled or grilled. In fact, start thinking of meat as a condiment. Learn how much meat is safe, and how it should be cooked. Even though potatoes are a nice way to fill out a supper plate, they aren't that healthy for you. Potatoes are high on the glycemic index, so they can raise your blood sugar levels, which is not good. Learn which varieties are actually good for you. Artificial sweeteners (Aspartame and Saccharin) do not seem to increase cancer risk in humans. However, drinking diet sodas, which depend on artificial sweeteners, seem to be linked with weight gain. Excess weight raises your risk of developing breast cancer, and of having a recurrence. Consuming high levels of salt, or eating foods that have been preserved by pickling, or brining may lead to increased risk of stomach, nasopharyngeal, and throat cancer. Moderate use of salt with food has not been shown to cause cancer. Alcohol intake should be modest or eliminated, to keep your risk of cancer low. Any kind of alcohol that you consume may change your levels of female hormones, and thus increase your risk of estrogen-receptor positive breast cancer. Build some good habits to reduce your risk of cancer or its recurrence. You can do that by having five or more servings of fruits and vegetables each day, along with legumes and whole grain products. Use fruits and berries for snacks and dessert, instead of sugary dishes. Choose organic foods whenever you can. Keep your food choices low in fat. Drink water, juice, green tea, and coffee—but avoid alcohol. Get off the couch and get some exercise for at least half an hour each day. Stay slim or learn how to lose your extra weight. Avoid tobacco as well as second and third-hand smoke. Surround yourself with positive people and develop and maintain a hopeful and positive attitude. Laugh often, smile whenever possible, and live healthily. ACS. American Cancer Society Guidelines on Diet and Cancer Prevention. 1997. WCRF & AICR Second Expert Report. Food, Nutrition, Physical Activity, and the Prevention of Cancer.